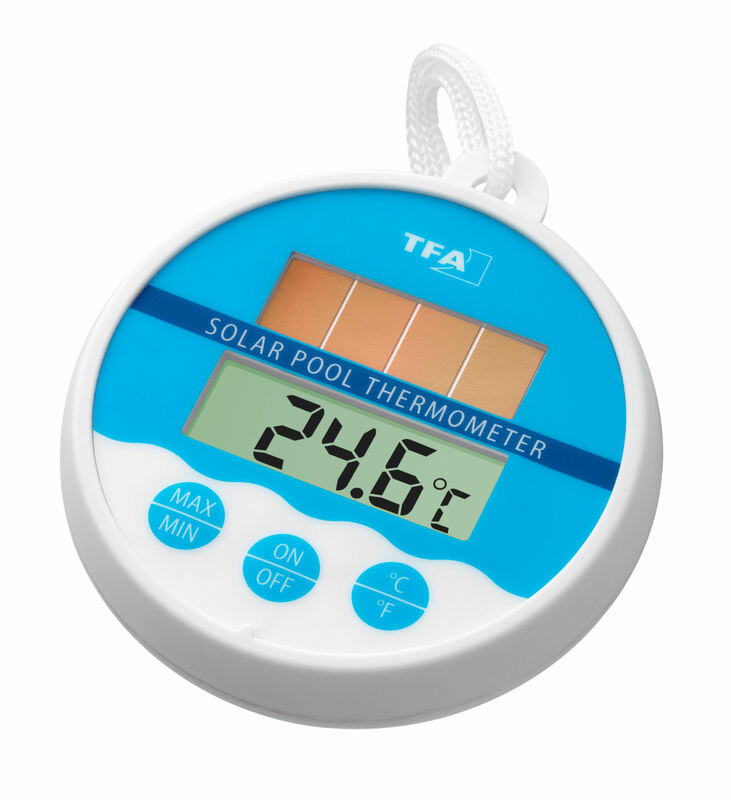 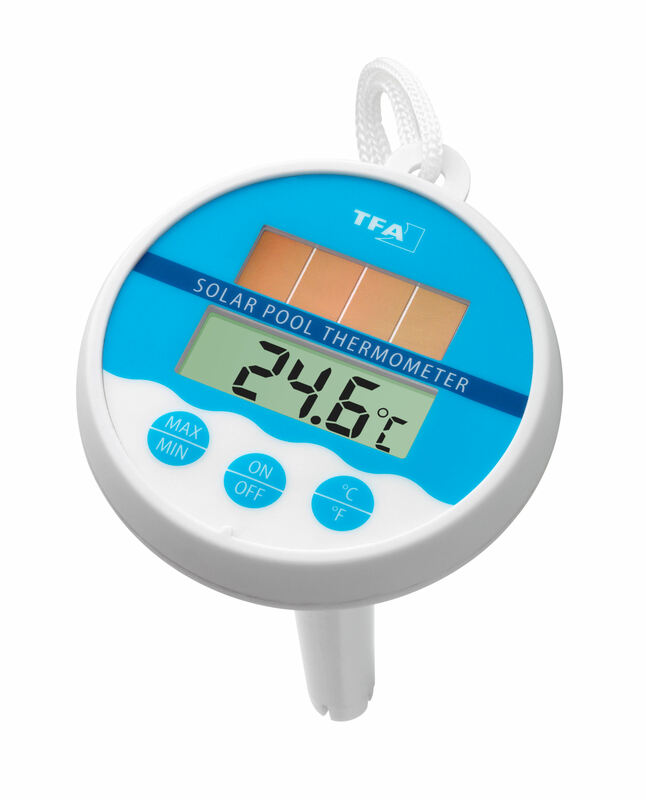 This digital pool thermometer takes advantage of the sun and uses environmental-friendly solar energy to measure the water temperature in your pool. 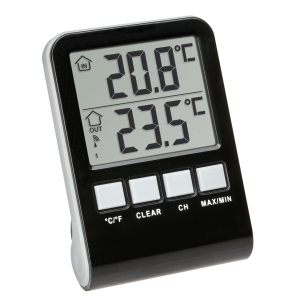 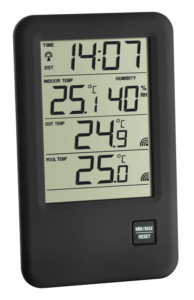 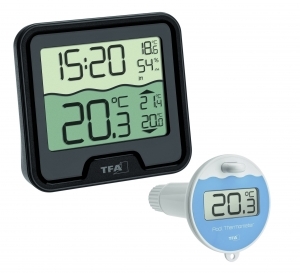 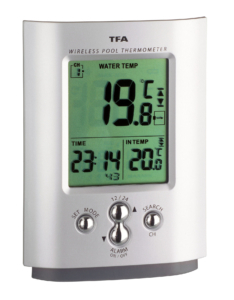 The thermometer floats on the water and the temperature can be easily read on the digital display. 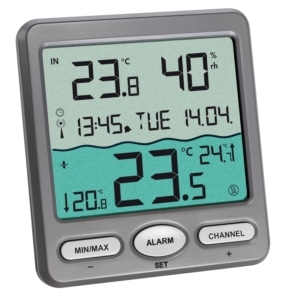 Maximum and minimum temperatures can also be measured. 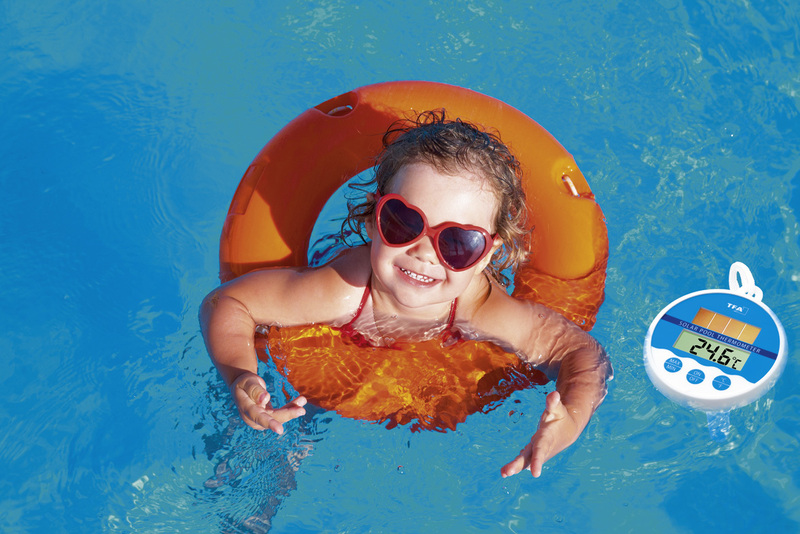 The practical cord can be used to secure the device near the pool edge.